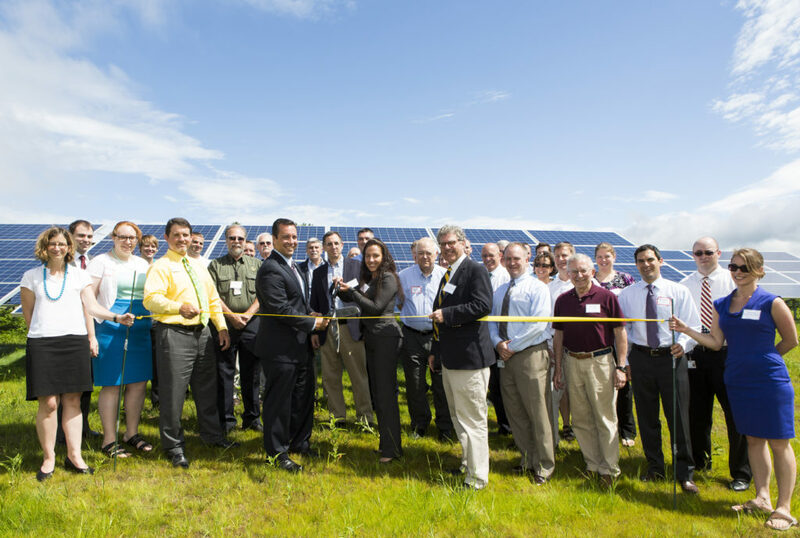 Community solar in Massachusetts is supported by the Green Communities Act of 2008, subsequent revisions to that law, and regulatory implementation. The Green Communities Act included a number of cutting-edge policies, including a revised net metering program. During implementation of the revised net metering program, the Department of Public Utilities codified the ability to transfer net metering credits from one customer to other customers (a.k.a. 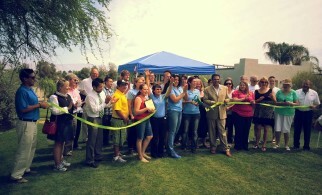 Virtual Net Metering or VNM). 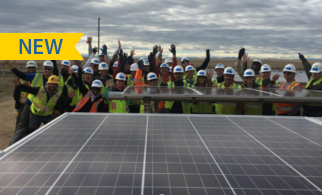 These policies have established Massachusetts as a leading state for community solar development. 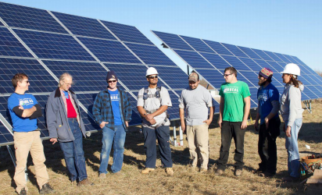 Massachusetts has a restructured electricity market that has allowed significant private investment in community solar and innovative business and project development models. Massachusetts’ community solar platform is based on its general net metering law. Under the Virtual Net Metering program, solar project owners may allocate their net metering credits to other utility customers, as long as the customers reside in the same utility service territory and the same load zone, and basic requirements for net metering are met. In the rules associated with net metering, there is no difference between VNM facilities and non-VNM facilities. This model allows a great deal of flexibility, since there is no additional restriction on community solar beyond those of any net metering facility. Until its transition to a new incentive program in 2018 (see below), the Massachusetts SREC II program awards a higher price for solar renewable energy credits that are generated by projects that are considered community shared solar projects or that serve affordable housing. Both of these programs have been very popular. As of early 2018, 93 solar projects serving affordable housing were put into service using SREC II incentives, many of them utilizing virtual net metering. In that timeframe, four community solar projects serving affordable housing were placed in service under SREC II. 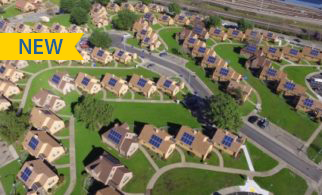 Because of the availability for dual incentives – for community solar and for affordable housing service – the SREC II program has provided the benefits of solar to many affordable housing owners and residents. In 2018, Massachusetts will transition away from SREC II. The new Massachusetts incentive structure will be the Solar Massachusetts Renewable Target (SMART) program, which aims to incentivize an additional 1,600 megawatts of solar development. The SMART program contains a combination of measures designed to incentivize solar projects that will serve low-income customers. The SMART program set base compensation rates for solar projects, and includes adders for certain types of projects. 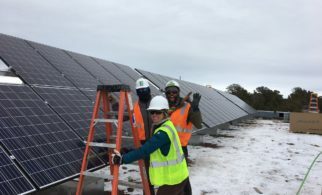 Community solar projects in which half of the energy output will serve low-income customers will be awarded 6 cents per kilowatt-hour on top of the base compensation rate. If a low-income community solar project is small (less than 25 kW), it will qualify to receive 230% of the base compensation rate. The base compensation rates are differentiated by utility service territory. Click here for the guidelines on the base compensation rate and adders. 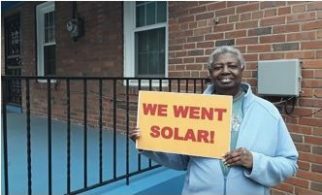 In addition to SREC II and SMART, the Mass Solar Loan Program offers loan support in the form of interest rate buy-downs and loan guarantees for low-income and moderate-income residents who are interested in purchasing a share of a community solar project. The offering for community solar loan support has not been very popular to date. Accessibility and Affordability. Massachusetts’ incentives have proven effective for improving the accessibility and affordability of community solar for low-income residents and affordable housing. 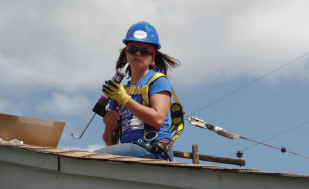 In particular, the SREC II program has broken down barriers for solar providers in offering shared solar to affordable housing owners by providing an added financial incentive that helped to offset higher costs. Many affordable housing owners who participate either share monetary benefits with their residents or reinvest in building improvements. Community Engagement. Community engagement is not an element that is built into the prominent low-income solar programs in Massachusetts. The final report of the Affordable Access Working Group, a collaborative of state agencies and private sector actors, recommended several steps the state should undertake to expand community engagement. The report was issued in April 2017 and is available here. Consumer Protection. Consumer protection is not a central element in Massachusetts’s low-income solar programs. However, various measures are in place to assure that benefits flow to the intended customers. For example, the Massachusetts Department of Energy Resources issued guidance for low-income solar projects under the new SMART program. This guidance instructs project developers how they must demonstrate that their projects serve low-income customers in order to qualify for added incentives. Sustainability and Flexibility. Massachusetts has demonstrated a long-term commitment to solar deployment, and the inclusion of incentives for low-income solar in programs like SREC II and SMART. Each of these programs has and will last for years, making the state attractive to developers and the financial community, which rely on forward-looking programming to make their investments. However, caps on net metering, which includes any non-residential solar projects, have led to some uncertainty and stop-and-go development. The flexibility of community solar and ability to serve affordable housing have led to a broader set of market participants and different business models. Compatibility and Integration. The SREC II and SMART programs both build on and complement the general market solar incentive program.